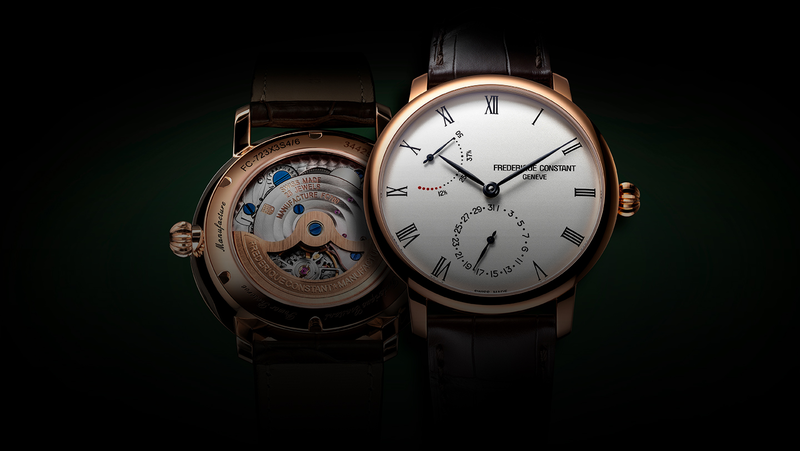 Frederique Constant is a watch manufacturer based in Geneva, Switzerland. The company is involved in all stages of watch production, from initial design, to final assembly and quality control. The brand's passion is to create beautiful, high quality watches with impeccable finish. A spirit embodied in its “Live your Passion” slogan and reflected in every detail of the craftsmanship, design and innovation used in the creation of a Frederique Constant watch. Frederique Constant Manufacture timepieces are developed, produced and assembled in Geneva, Switzerland. The range offers a luxurious Swiss product and the highest quality horological complications at an affordable price. The Classics range presents timeless designs with an attention to detail and a wide choice of styles and colours. Moreover, the collection stays faithful to the brand's aim and offers each model at an accessible luxury price point. Frederique Constant manufactures the Horological Smartwatches in a specific and dedicated HSW Atelier, which combines traditional watchmaking and technology where engineers program each watch movement for the connected functions with the MMT-365 App. With ultra-flat models, the automatic movements upon which this elegant series of watches is based have a thickness of just 3.60 mm. The collection is a tribute to fine Geneva watchmaking, uniting style, elegance and high quality at sensible prices.